The Super Blue Blood Moon total lunar eclipse of January 2018 from the West Coast of the United States — have you ever seen more hype or adjectives applied to the poor old moon?? “Super moons” aren’t a whole lot more than a media thing. The moon is very slightly closer to the Earth, but not so as to make it appear huge. If you see a “super moon” photo where the moon just looks massive, someone has faked the shot! Blue moons aren’t a physical thing–nothing is different about the moon on a blue moon. Blood moons… now there’s the fun! Blood moons occur on total lunar eclipses, when the moon looks quite red during totality. A blood moon I can get excited about! This is the fifth total lunar eclipse that I’ve photographed. It’s fun to watch the moon disappear, and visually it’s quite nice during totality–with the red color. 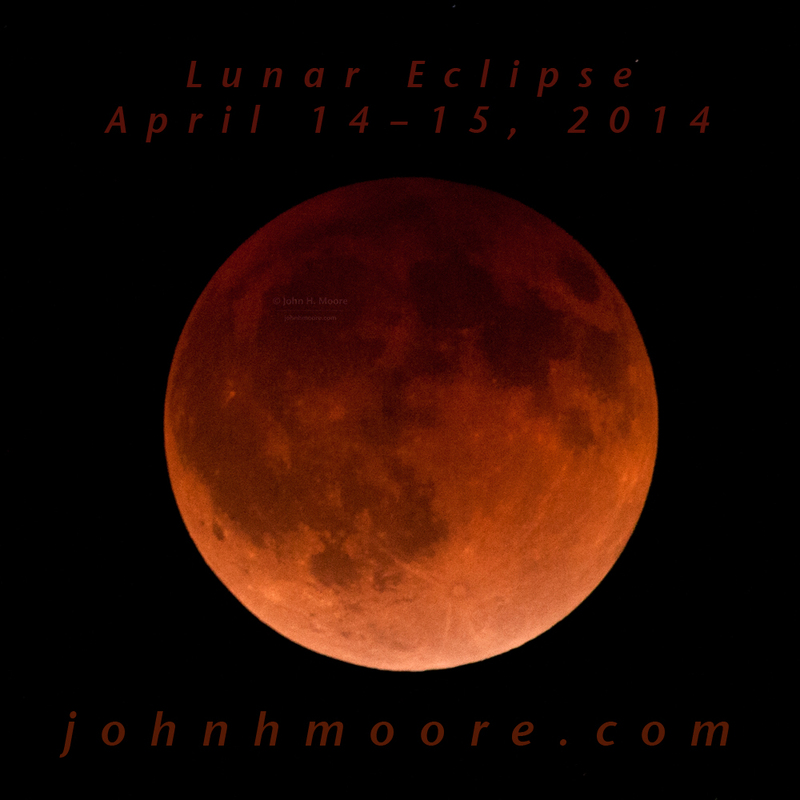 I’ve shot lunar eclipse time series. I’ve shot lunar eclipses with a whole lot of glass, so the moon is huge in the photo. I’ve also done a fair amount of full moon photos. 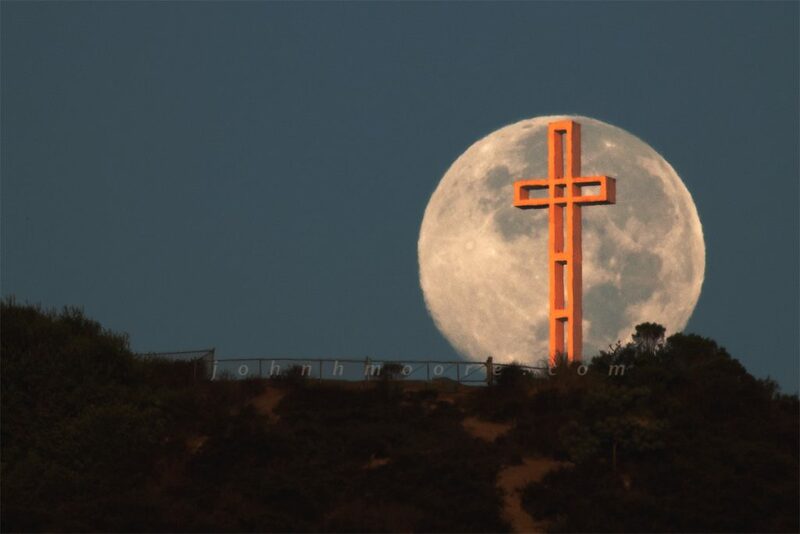 Perhaps my favorite full moon photo of mine is the shot I got about five years ago of the full moon setting behind the Mount Soledad Cross in La Jolla. That shot was very difficult to get and was shot from a LONG way away with 900mmm of glass. To get the moon so big in a shot, you need a lot of lens. The full, blue moon sets at sunrise behind the Mount Soledad Cross in La Jolla, California. 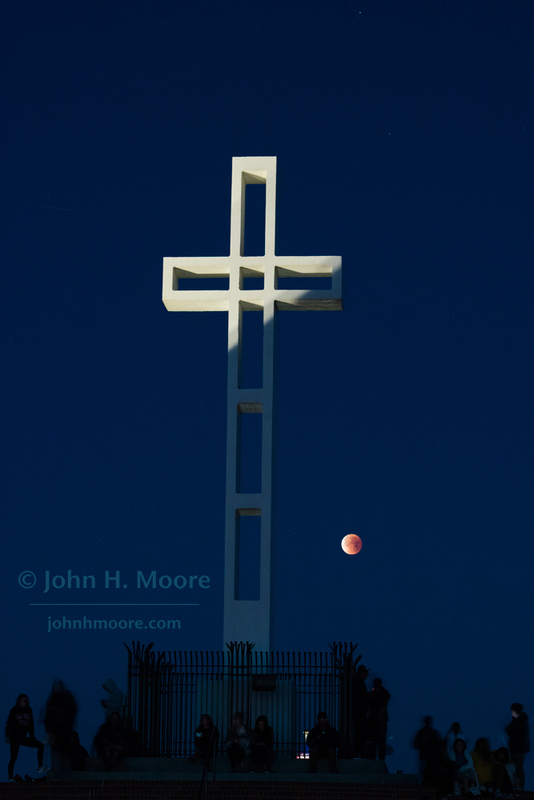 So as we approached this Super Blue Blood Moon, the thing on my mind was: can I get the moon behind the Mount Soledad Cross during the total solar eclipse? A lot of research and scouting the ground later, my answer was “no, I could not.” At least not from such a great distance that I could use 1,000mm of lens and make the moon huge. However, I did think that if I went down into the canyon behind Mount Soledad, I could probably get the angle about right to put the moon near the cross when it was low-ish in the sky in the middle of totality… with about 400mm of lens. So not a huge moon, but not too small! Fast forward to the morning of January 31st. Up at 3:30 AM and over to Mount Soledad. I pull up in the early early dark… and there are dozens of cars already there! Oh, no!!! I had told no one about my plans, except one person that I trust and him just late the night before. Had someone arranged one of those annoying photography workshops?? I gathered my gear and walked in to the cross. It was a lovely morning and the crowd was in a great mood. Sounded more like a party. In perhaps the single most important rule of photography, that you never know until you get there, I kept going past the cross and down into the canyon… and there was NO ONE else there! Happy happy, joy joy. I had the place to myself until well past the when the moon was at the right elevation for the shot down there, when a second guy showed up. He had shot down at Balboa Park for the start of the eclipse and then rushed up to Mount Soledad to try to get a second shooting location in. He didn’t make it, but was nice to talk to for a bit. 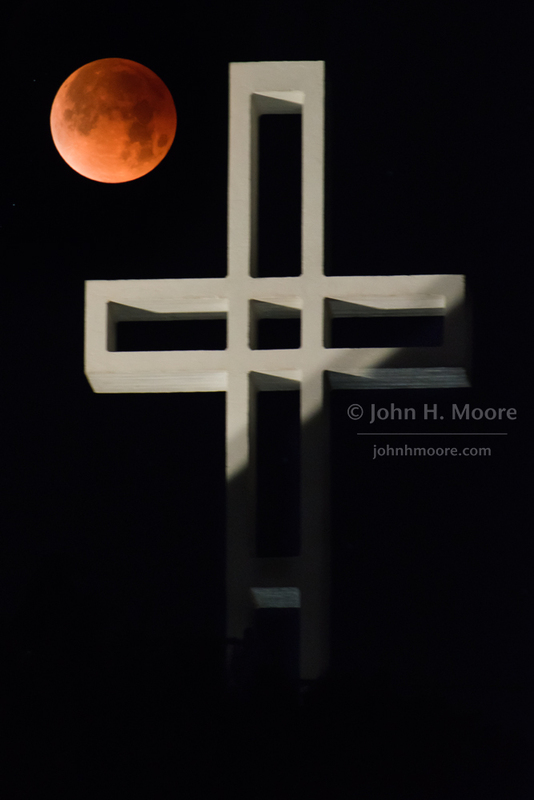 A total lunar eclipse behind the Mount Soledad Cross in La Jolla, California, USA. “Super Blue Blood Moon” of January 31, 2018. This entry was posted on January 31, 2018. It was filed under Uncategorized. I was waiting for these pics, great shots John.